It can be used without problems. Private brands are cheap and easy to buy. This review is about item#9964254. I think that work accuracy and efficiency will increase, and the frequency of use will increase. This review is about item#9964315. It is easy to use and water supply work can be done without water leakage. This review is about item#9964333. We use for cutting oil of band saw machine. Did I use it for a year or leak? I think that it is more stable than tightening with a hose band. It is a bargain! This review is about item#9964236. I think that it is not inferior to the thing of a famous maker. Clearly speaking, it is a bargain. This review is about item#9964245. I purchased Union at the same time at the time of L but purchased also because I did not know how it will work on the arrangement. I purchased the same product of different size, but I think it is a good product. I think that it is better for equipment to replace regularly even if it is cheaper than using it while leaking air. This review is about item#09964342. This review is about item#09964333. We are using it for Bowden type 3D printer. The nut part is long and easy to remove. When used for 3D printers Because mending tape is unnecessary, it is necessary to peel off the mending tape with an inch type dice. This review is about item#09964315. It is very convenient with one touch. It is a joint that can be utilized to a great extent if ordering carefully even with the size. This review is about item#9964342. As a fitting from a pressure reducing valve. I am very satisfied with this COSPA. It is unknown how much you can understand the degree of reliability. 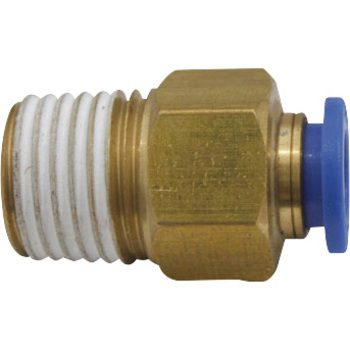 Purchased on Toigan to create an inlet for the external source of gas gun. I could make it as I thought. I am satisfied that I could install without leak of compressed nitrogen gas. This review is about item#9964324. Sticky metal fittings are good. However, depending on the brand of hose (polyurethane), it may cut off. (Small diameter) It may be more suitable for nylon hose than polyurethane hose. Polyurethane hose with cheap brand name unknown made abroad is not suitable. This review is about item#9964351. I purchased it before, but the material ring has changed The resin ring is hard to use. This review is about item#9964367. This review is about item#9964272. It is inferior to domestic production. . . . . . . . . . . . . . . . . . . . This review is about item#09964254. It was cheaper than the original price and I was able to do it with a tenth of a budget, it was really good. This review is about item#09964324. Gas gun (Toigan) Since 134 gases are high now and environmental destruction is unpleasant, purchased for direct air supply from the compressor. I joined the regulator and operated comfortably.